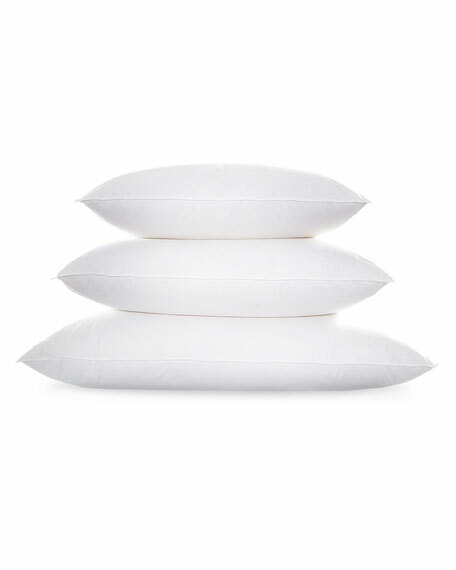 Matouk Montreux Medium King Pillow, 20" x 36"
MatoukMontreux Medium King Pillow, 20" x 36"
Medium pillow with cotton percale shell. 500-thread count long staple cotton jacquard pillow protector. 3M Thinsulate?? featherless fill; 600 fill power. 2" quilted gusset. 36-ounce fill. 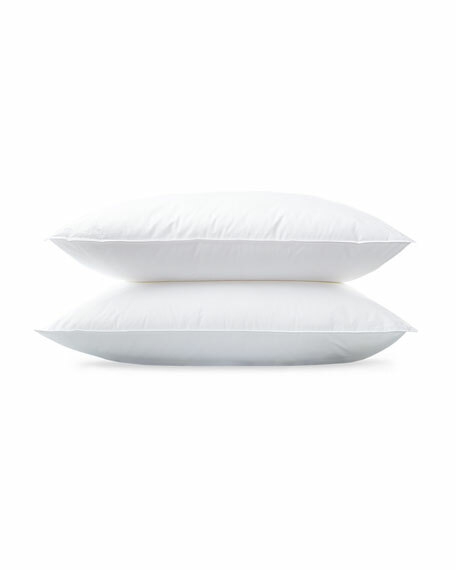 500-thread count long staple cotton jacquard pillow protector. 3M Thinsulate?? featherless fill; 600 fill power. 2" quilted gusset. 36-ounce fill. 34"W x 18"D x 2"T. Machine wash. Imported. 500-thread count long staple cotton jacquard pillow protector. European goose down fill; 600 fill power. 2" quilted gusset. 17-ounce fill.